Today’s 5am Steamboat snow report indicated a small but welcome 5cm/2″ at mid-mountain and 10cm/4″ at the summit. However, when I was shoveling my driveway at 7am and fighting a losing battle against Mother Nature, trying to clear my way out before she erased my hard work, I knew that a lot had happened since the snow stake was checked pre-dawn. And I was right! Finding myself in a generous and selfless frame of mind and with meetings on my midday schedule, I decided to check out Steamboat snow conditions on the first gondola so that I could provide detailed information to my esteemed friends and colleagues. I rode up the gondola with some nice folks from Fort Collins, CO who were up for a long weekend, and together we planned a ski itinerary for them. Good thing, too. It is definitely a day to have local knowledge or a local buddy, as visibility is as limited as the snow is fabulous. We’re talking superlatives here, folks! Conditions in the Alps have clearly started to turn to spring skiing with milder temperatures and plenty of blue skies . However that does not mean a lack of snow, 10 – 15 cm of fresh snow fell yesterday in the Chamonix area, providing some excellent skiing & snowboarding. It is important that care is taken when venturing off piste as due to the mixture of winter & spring snow packs there is an increased risk of avalanches. Current snowfall is continuing to add to Whistler’s epic season, with nearly 1m falling in the past 7 days and whilst these conditions aren’t ideal for the Olympians, they make for an ideal day on the mountain. Both the men’s & women’s downhill races were nail biting, with a great 13th place finish from Team GB’s Chemmy Alcott. Chemmy was full of praise for the course. “It’s the perfect women’s downhill, the best I’ve ever skied,” she said. “And today Mother Nature did us a favour as well with the conditions. It’s bumpy, it’s icy and it’s great fun. You look at this and you think to yourself: ‘This is what we do this sport for.’ I think I could have gone quicker but I made a few silly mistakes. But it’s the Chemmy way.” Good luck to Chemmy for the super-combined today, which is one of her best events. With heavy snow forecast in Whistler for the next 5 days, it looks like the XXI Winter Olympics are going to get off to a great start. A week has already passed since I got back from Canada where I was helping to host a holiday for readers of Daily Mail Ski & Snowboard magazine with Annika Leis from Ski Independence. Over the course of nine days our 32 strong group visited five of Canada’s lesser known resorts, in British Columbia. 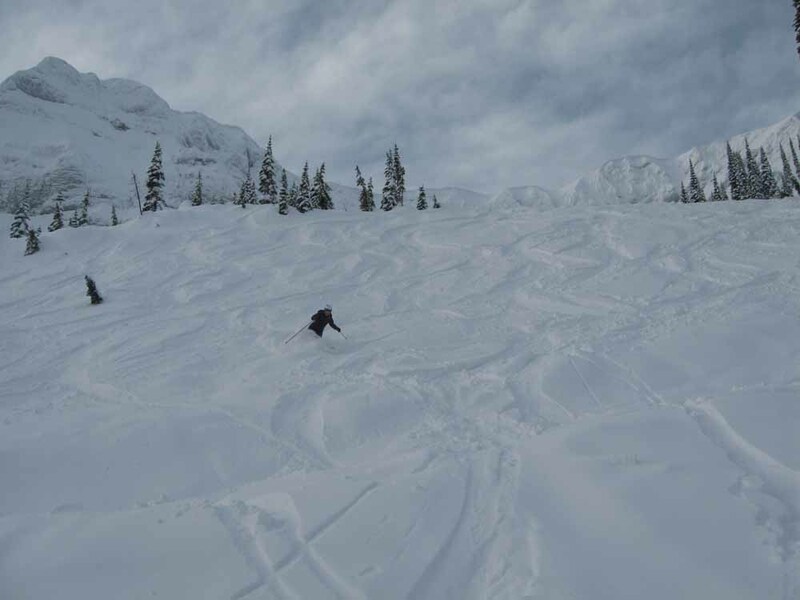 We got to enjoy steep, challenging chutes in Fernie, lots of fresh powder in Kimberley, North America’s longest vertical descent at Revelstoke, powered down perfectly prepared groomers in Panorama and rounded the trip off with challenging off piste skiing in Kicking Horse. It was a great success but don’t just take my word for it. Here’s a collection of quotes I gathered from the crew. “Fernie, Kicking Horse and Revelstoke are awesome resorts with extremely exciting terrain. 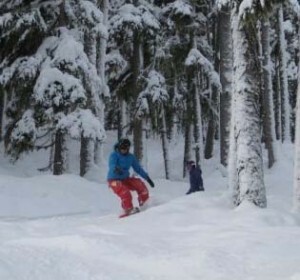 The use of local guides meant we quickly learnt the layout of the ski areas. And the accommodation and hospitality we experienced was fantastic.” Graham McNally.